Vintage Red Bike On Cobblestone Historic Old Town In Rain. Color.. Stock Photo, Picture And Royalty Free Image. Image 50926292. 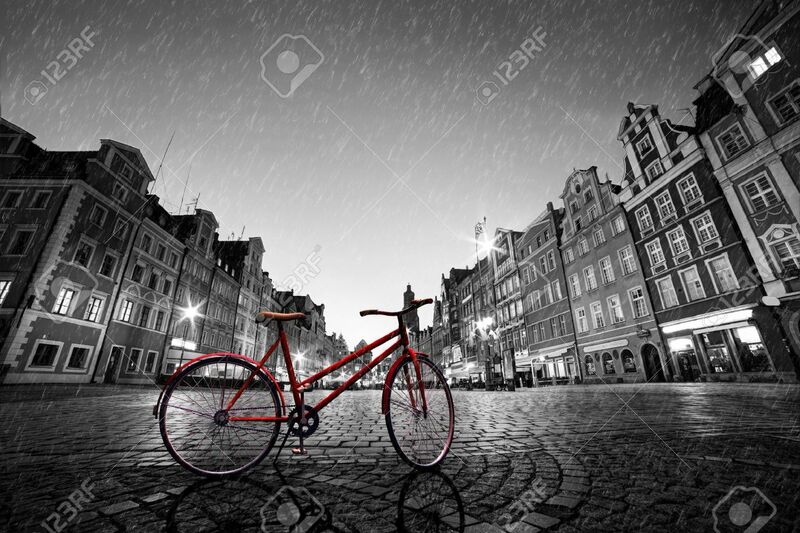 Stock Photo - Vintage red bike on cobblestone historic old town in rain. Color in black and white. The market square at night. Wroclaw, Poland. Vintage red bike on cobblestone historic old town in rain. Color in black and white. The market square at night. Wroclaw, Poland.